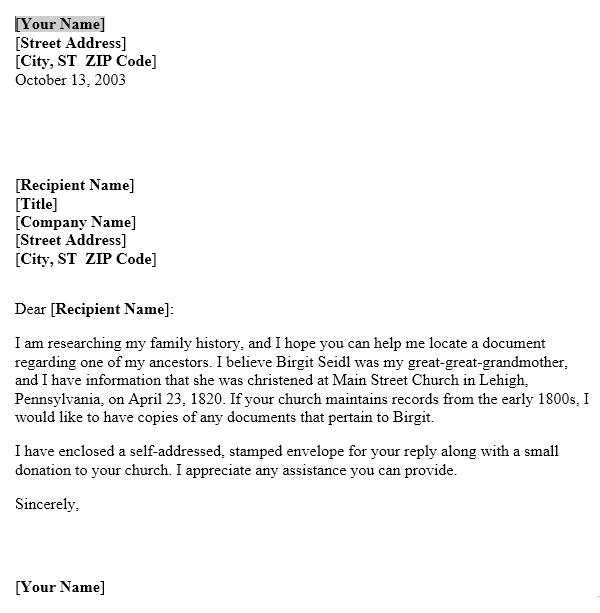 Here is the letter template that you are looking for to send church authority to get information about your ancestors. This Microsoft Word letter template is especially here to make your work easy and time-saving. This Request for genealogy records from the church is designed in such a convenient way that you can easily make use of this letter template without any hurdle. And another quality of this letter template is that you can rearrange this template according to your demands and fulfill your task. So download this very apt template and use it as you want.